RaajjeTV reporter Mohamed Fazeen – who was arrested from Majeedhee Magu in Male’ City last Friday night – has been released. Fazeen was released from police custody last Saturday night. Fazeen was arrested on Friday under the State of Emergency for alleged complicity in an attempt to overthrow the government. RaajjeTV had contested the allegation, claiming Fazeen was arrested while waiting in traffic in Majeedhee Magu, on his way home from work. 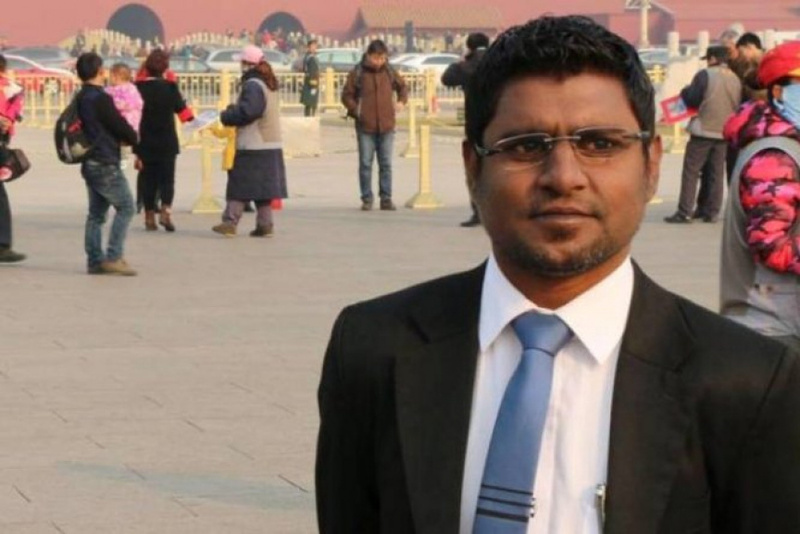 In an interview to RaajjeTV after his release, Fazeen said the police suspected him of complicity in an attempt to stage a coup, but that he refused to sign the statement. He said he wasn’t given any document after his release. RaajjeTV reporter Mohamed Wisam and Head of Programs at RaajjeTV, Amir Saleem were also arrested on Friday night. Their attorney said the two were arrested for broadcasting the threatening video of individuals wearing police uniforms and balaclavas, uploaded to YouTube on March 14. Still from threatening video posted to YouTube on March 14, 2018. 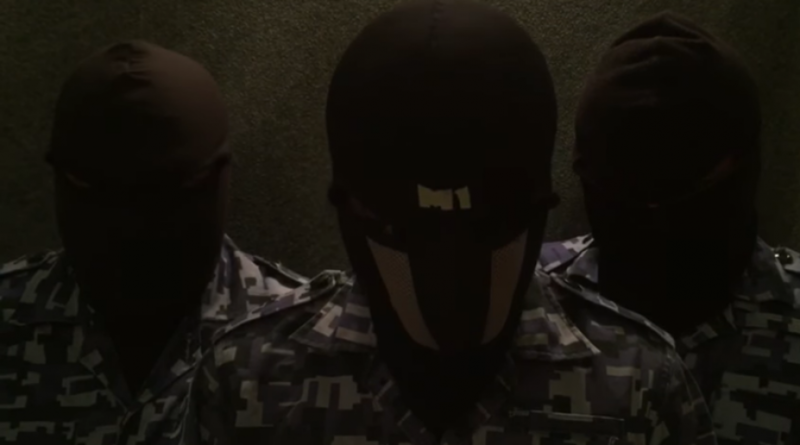 The Maldives Police Service has announced it has arrested three suspects in connection with the threatening video. The identity of the third suspect is unclear at this point. Wisam and Amir were remanded to 10 days in custody last Saturday.